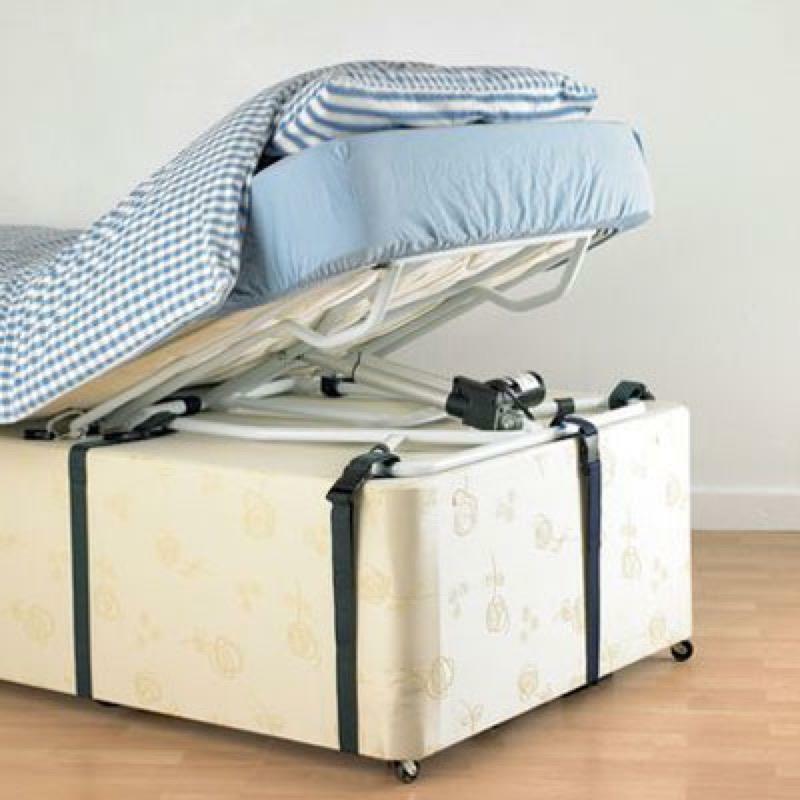 The homecraft mattress elevator is quick and easy to fit, and has a smooth quiet action using a transformer. Allows those confined to beds to lie comfortably with a high degree of independence. 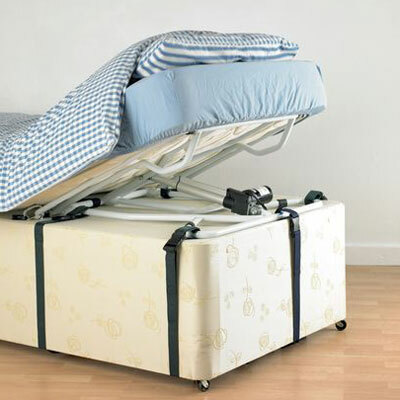 The homecraft mattress elevator is quick and easy to fit, and has a smooth quiet action using a small transformer. Allows people confined to beds for long periods to lie comfortably with a high degree of independence. Width easily adjustable for single to queen sized beds. Securely fastened into place using colour coded straps. Raises and maintains any angle between 9 and 72 degrees. A sideguard is supplied to help prevent pets and children from becoming trapped within the frame. Product Width 29 to 55½"